This can be claimed for working 5 W.A.B. 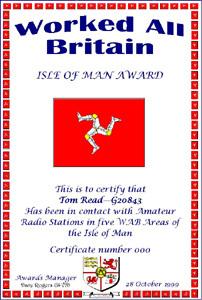 Squares on the Isle Of Man. Contacts must have been made on, or after, 1st May 1974. 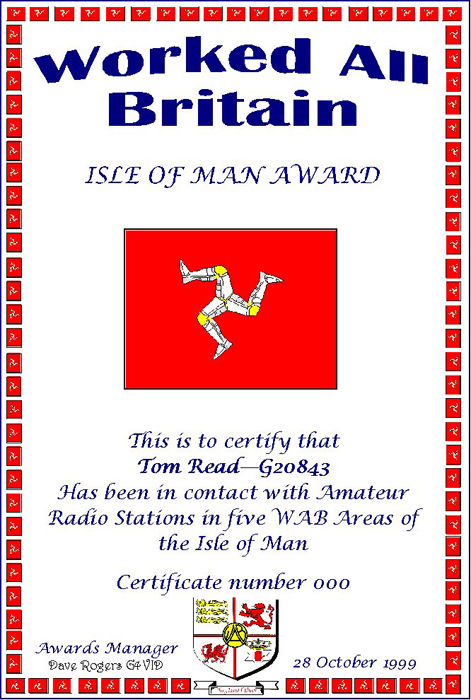 There is no specific claim form for this award, simply list the contacts in the same format as the W.A.B. Squares Award.